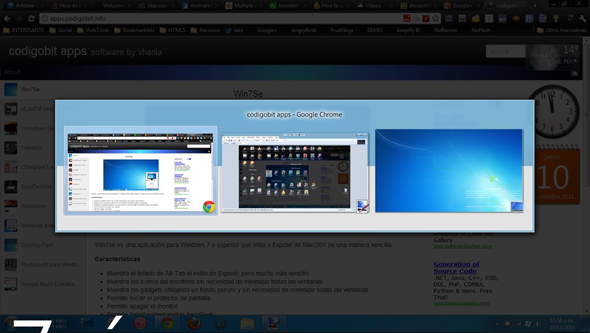 Win7sé Brings OS X Hot Corners To Windows 7 – Download Now! One of the reasons Mac users love their products is because they are simple, they are elegant and easy to use. It is no surprise that there are many tips and tricks on the web to bring some of that to Windows users. A new app has been uploaded to deviantART and is aiming to bring one of those key features to Windows 7. 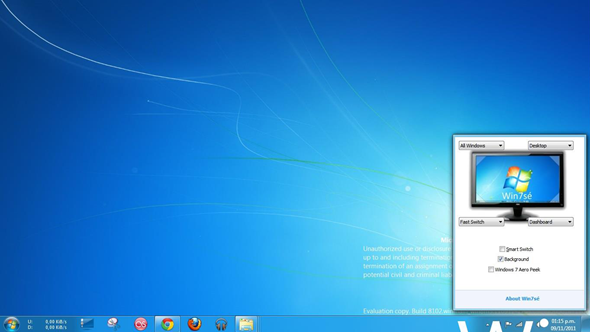 Win7sé is a free download for Windows that brings Screen Corners to your PC. Once installed, it will launch at startup, run in the background and will work in much the same way that Hot Corners work on a Mac. Hot Corners on Mac are very useful, when you move your mouse pointer to any of the four corners of your computer screen, certain actions happen. You can program these actions to be anything really; you can start or stop a screen saver, you can remove all open windows out of the way to give you full access to your desktop. A corner may be programmed to put your computer to sleep. By far the most useful would be activating Mission Control. If you are a multi-tasker like me, you are used to the feeling of having many windows open. Activating Mission Control will reduce the sizes of these windows and lay them out across your screen so you can select which window you want to work on next. Win7sé works in much the same way. The corners will launch predetermined actions such as an Alt-Tab overview of Windows, show Windows gadgets and all the other features Hot Corners has. There are few other extras; you can program these screen hotspots to switch between applications and enable or disable aero peek too. There are a few things to note; this is a relatively new piece of software and with it comes a few bugs. For one, you are not able to use it if you use more than one monitor. There is a disclaimer which lists the software ‘as is”. Still, it seems to be generating a lot of positive reviews. The program only works on Windows 7 for now. It is uncertain if it will be developed for the popular Windows XP as of yet or the upcoming iteration of Windows, which is Windows 8. If you use a Mac, you can activate Hot Corners by going to System Preferences, then Desktop & Screen Saver, then selecting Hot Corners on the bottom left. 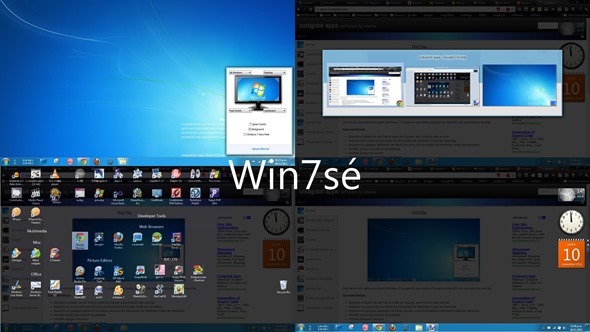 Download Win7sé from this link. Ticno Multibar Brings Interactive Apps Dock To Windows 7 – Download Now!